In-game multiplayer credits withheld until you sign up. 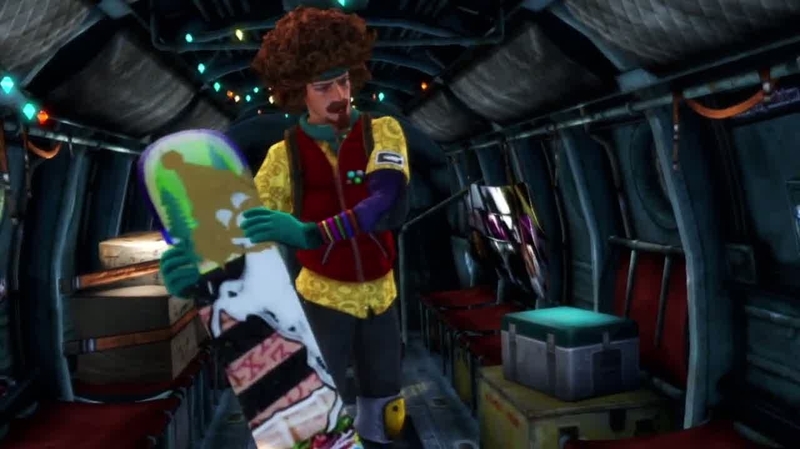 Forthcoming snowboarding revival SSX ships with an online pass, publisher EA has confirmed. As detailed by GameInformer, all players will be able to access the game's Explore and Global Events multiplayer modes, however, any in-game credits earned will be withheld until an online pass code is activated. That code is included in new copies of the game, but those picking the game up second hand will have to fork over $10 for a digital voucher. "In SSX, players without an Online Pass are able to compete and play in both of SSX's online game modes, Explore and Global Events with no restrictions," explained an EA spokesperson. "In Global Events, the top finishers from each event are awarded with in-game credits. These in-game credits earned during play will not be awarded to the player if they do not have an Online Pass; these credits will be stored so that at any time, if a player redeems an Online Pass code, all the credits that they had previously earned in Global Events will be immediately awarded to them." The credits let you unlock new items for your character and participate in special event drops across the two game modes. The game, developed by EA Canada, is due out on PlayStation 3 and Xbox 360 on 2nd March. Give our recent SSX preview a read for more on what to expect.